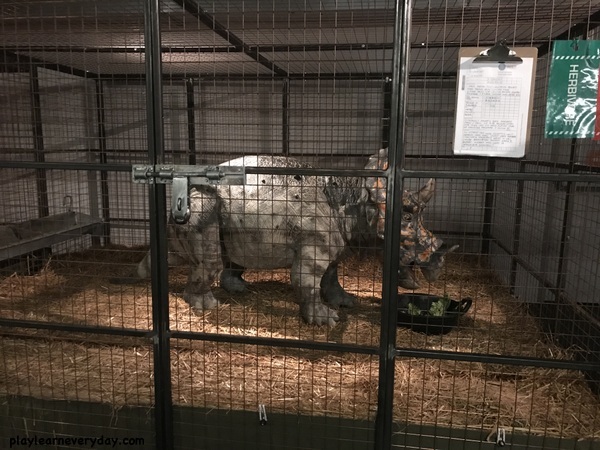 We went to Dinosaurs in the Wild in Greenwich, London a couple of days ago and I am still amazed at how incredible it was, and I think it's something that the children will continue to talk about for a long time to come. 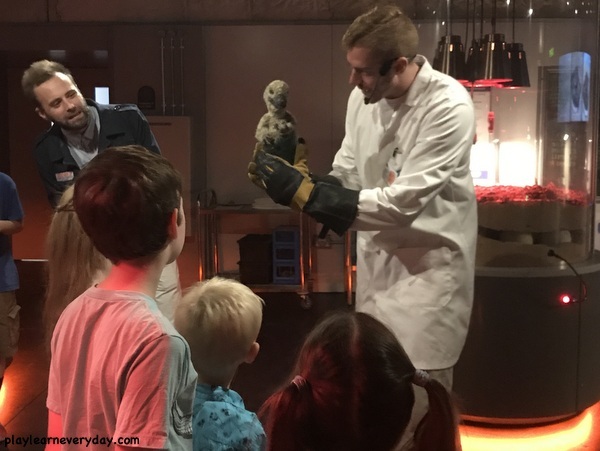 It's the perfect family day out over the summer holidays and it's on until 2nd September in the Greenwich Peninsula. 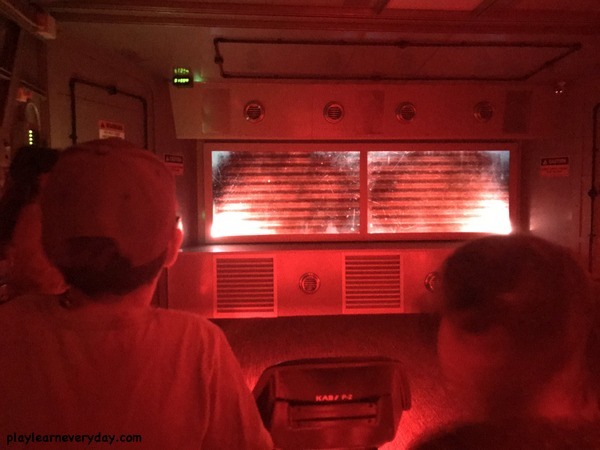 It was such an amazing experience, Ethan has referred to it as the most thrilling day of his life! But because it is so unique I worry that I might give too much away in this review and spoil it for you! So I'll start with a brief overview, then give some spoilers later and tips later on. The experience begins before you even reach the building! 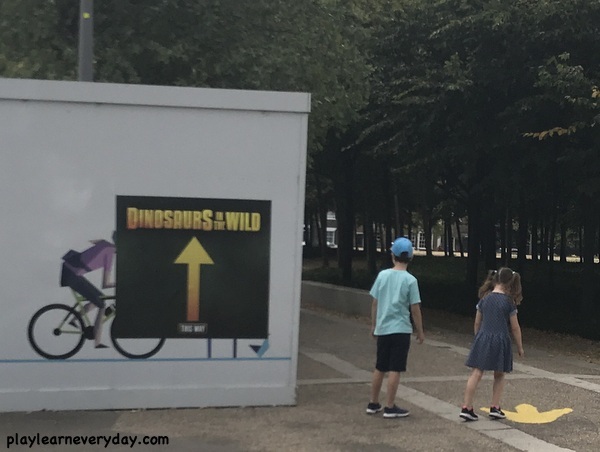 When we exited North Greenwich station we weren't sure exactly which way to go (as it is about a 10 minute walk) but we needn't have worried as there are dinosaur footprints and signs to lead you to your destination. 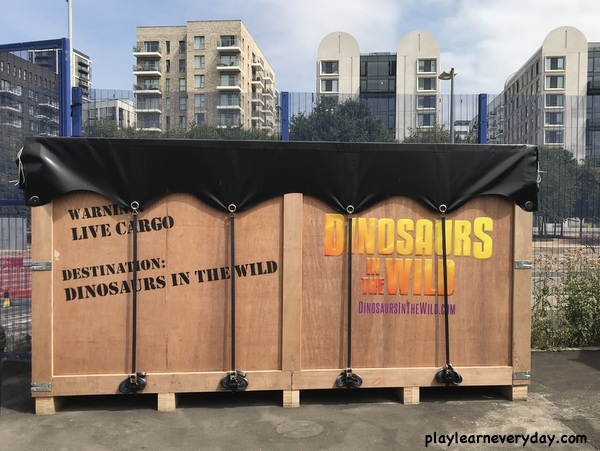 Then once you enter and show your tickets, you can go straight over and have a green screen photo taken (which will later have a t-rex behind you) which of course we highly recommend, any chance for a photo opp! We also recommend that you go to the loo at this point, as there are no washrooms available during your journey through time. 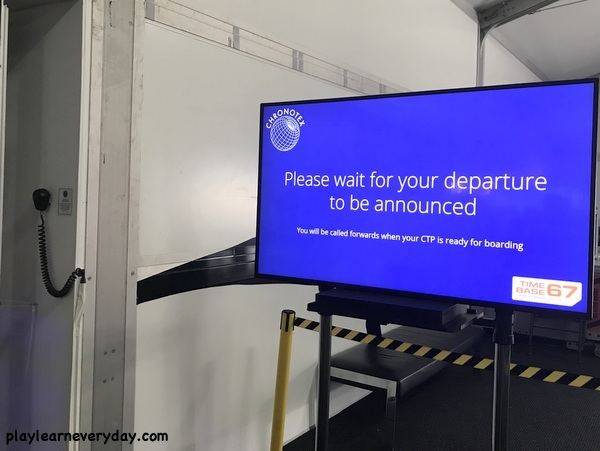 At the beginning you go through a series of waiting areas to the departure lounge, where you are briefed about the journey and given your safety glasses. It is all very serious right from the start, and you are immersed in the experience as soon as you set foot into the departure lounge. 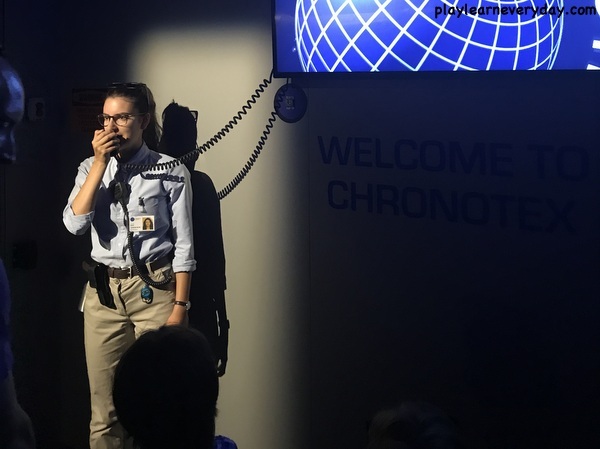 They have thought of every single detail throughout, giving you lots of information to read on the walls about the history of Chronotex and how they developed the time travel system. We got ready to board our time travel device, again being reminded to keep our safety glasses on and to follow all instructions. They don't allow flash photography throughout the experience and the low lighting really adds to the whole ambience, but unfortunately it means that my photos and videos really don't do it justice, it is something that you need to experience for yourself. Our vehicle then drove to Time Base 67, where we were briefed on all of the different areas of the base that we would be visiting. Again I was amazed at every little detail that they thought of, there were too many things in each room to even look at. I am sure that every person who visits notices little things that others don't. 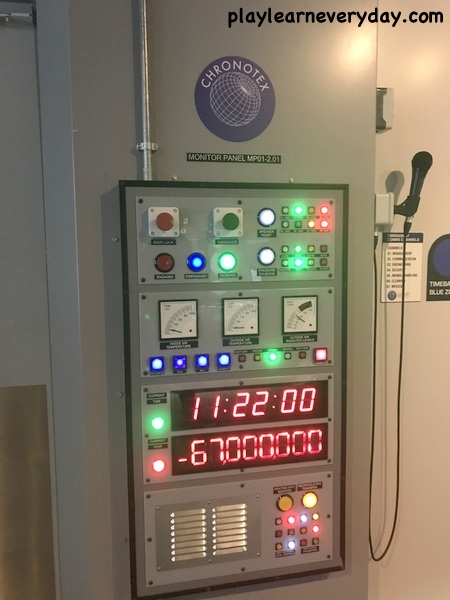 I quite liked these monitor panels which display the current time and date, all part of the experience. 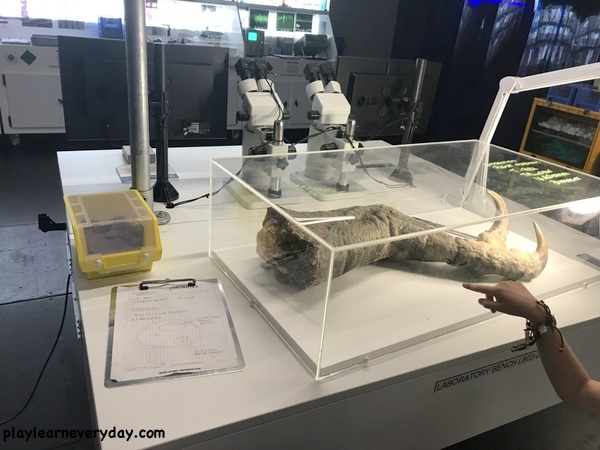 First we visited a specimen room which we were free to walk around and see a variety of different samples from the dinosaurs. This T-rex claw was particularly fascinating to the children. I really liked how many facts there were to be found around the room. 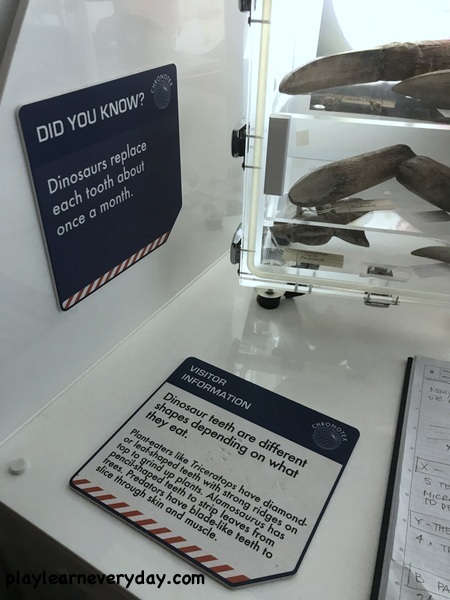 You can tell that all of the information here has been well researched and a dinosaur fan could definitely learn a lot from all of the little signs around the room. 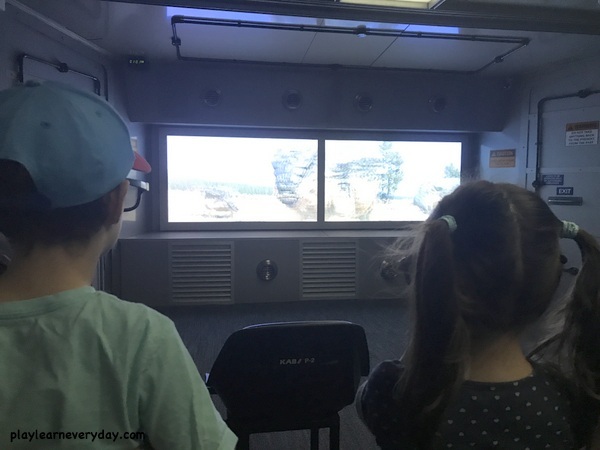 Our guide was also very knowledgeable and told us about many of the items in the room, and also answered any questions that we had. 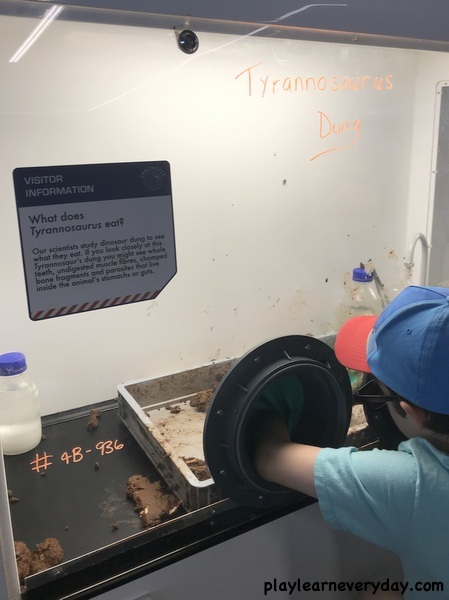 And of course who could pass up the opportunity to get a good feel around some Tyrannosaurus dung! 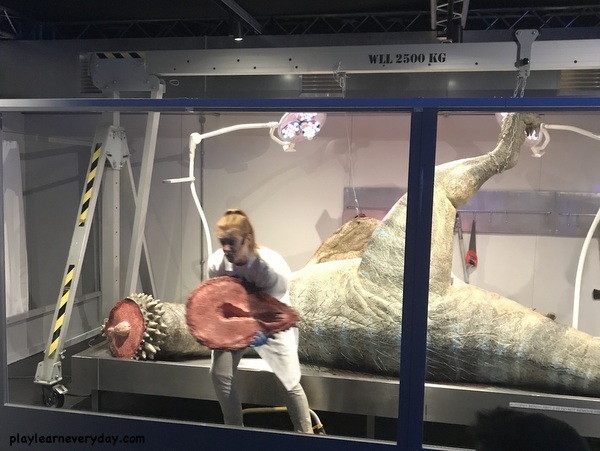 Next we moved onto a room where we could witness a dinosaur autopsy take place. Again there was a lot to learn here and everyone was completely fascinated (but I won't give too much away). We moved on next to the hatching room. 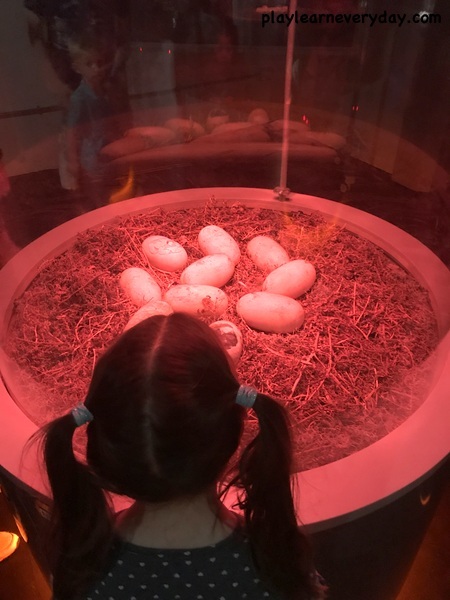 This was Ivy's favourite room by far, there were a few different incubators that we could look at filled with a variety of dinosaur eggs and another expert to talk us through it all. 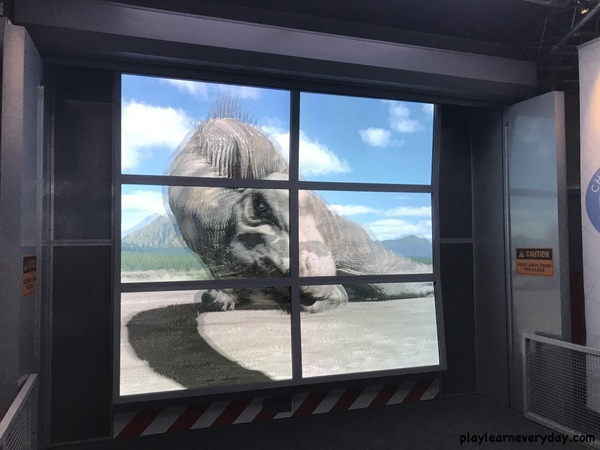 Onto the nocturnal room, where we could watch a few of the dinosaurs while they slept during the day. And then onto a few dinosaurs who were recovering from illness, we really liked this triceratops! 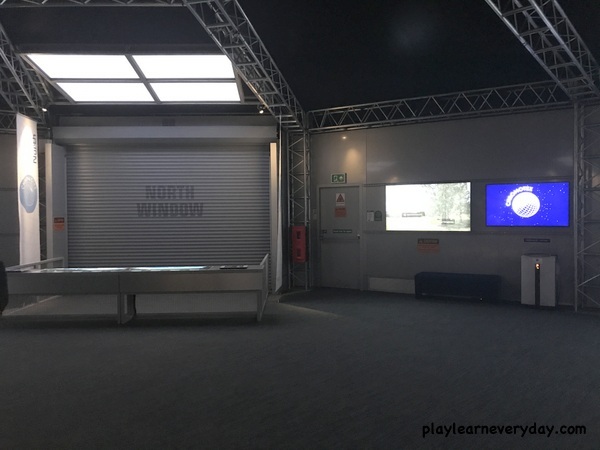 And finally we took the life to the lookout, where there were four large windows with the shutters down, with information tables in front of them. 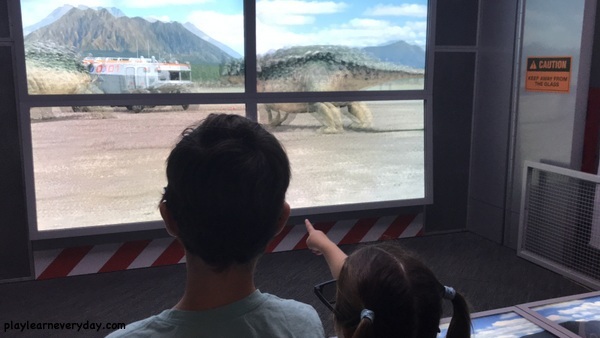 When the shutters opened we were once again witness to all sorts of interesting goings on outside of the time base with all of the dinosaurs. Spoiler alert! This is where things started to get intense with what we were seeing outside these windows. 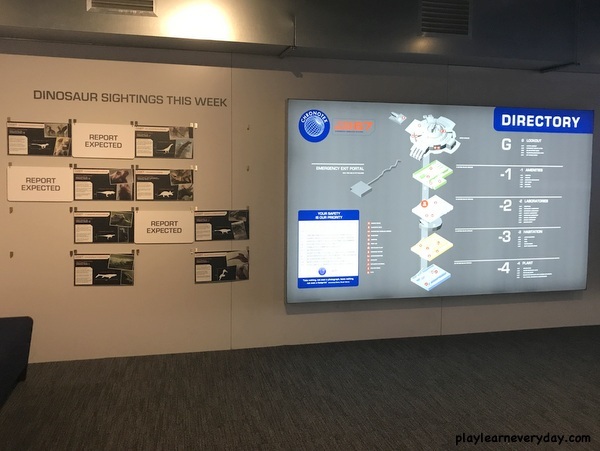 A few different incidents occurred with the dinosaurs outside and our vehicle was no longer available to take us back to 2018. So we had an emergency evacuation, which did cause some concern for the younger children. In the end of course we made it safely back to the present (well, 2019, but who's counting right?) 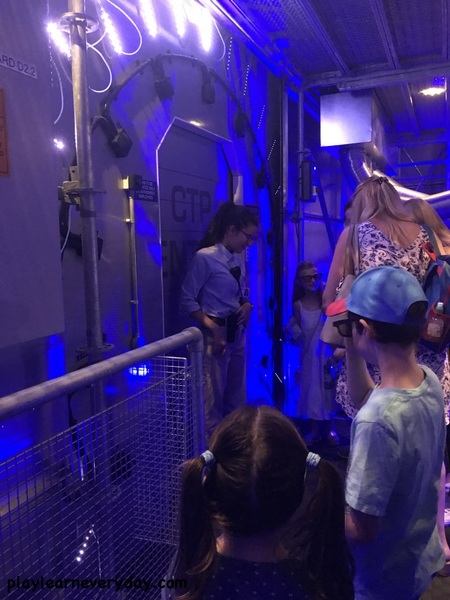 and I wasn't sure how the children would react, but that's when Ethan said that it was the most thrilling day ever and that he absolutely loved it. And even though Ivy is below the recommended age range (they say from 5 but she is only 4) she seemed completely unfazed by it once it was all finished. 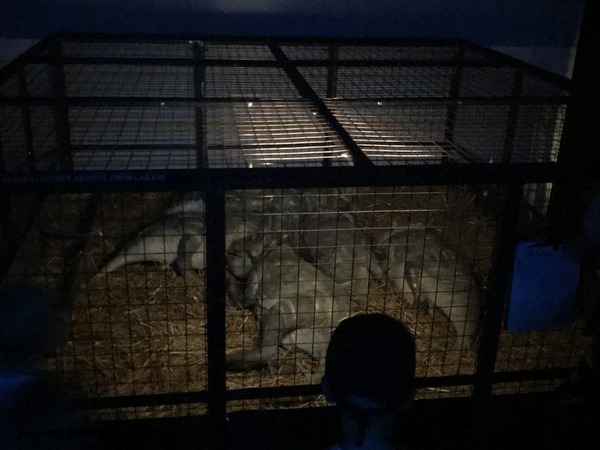 Here's a little video of our experience, including a clip of the time travel journey and when they named a baby Dakotaraptor after Ivy!